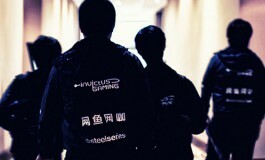 ViCi Gaming came in fourth at The International 5 and walked away with $1.5 million. However, to say that results are all that matter would be a misconception and definitely an inequity to ViCi Gaming’s TI5 performance. During their 5-day main event run, they displayed some of the most spectacular plays of the entire tournament. ViCi Gaming’s TI5 experience was perfectly reflected by their Twitter feed. Some of their spot on tweets might have gotten lost in the heat of it all. Pinning them down to just 15 memorable tweets was no mean feat. They’ve got so many strings to their bow that just sifting through their social media archives is practically a full-time job. @team_empire Deal! And after that – we can drink some vodka, grab some chinese food and play 5v5 mid only techies. 3. A little near-the-knuckle, but if ViCi Gaming can’t get away with it, who can? Hao did he do that tweets incoming in 3 …2….1…. Damn son VG with the tweets!